Gardens will be an important feature of our visit to Hampshire. Although the village of Houghton is where we will spend most of the day, I felt members would like the opportunity to visit Graham Stuart Thomas’s national collection of Old Roses at Mottisfont Abbey. If the weather is kind, these will look their very best in mid-June and should not be missed. 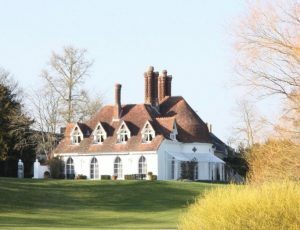 Mottisfont was founded as an Augustinian priory in 1201 but has undergone a number of transformations in the last 800 years. We will have a tour of the old part of the house and visit the rose garden. 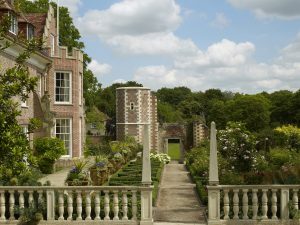 We will then move to Houghton Lodge and Gardens. Not a rectory, but it is a very beautiful Grade II listed Cottage Orne surrounded by gorgeous gardens which sweep down to the banks of the River Test. The Busk family have owned the estate since 1910 and will guide us around both house and garden. We will have lunch in the Orangery. From here it will be a short walk through this very pretty village to see All Saints Church and then finally to an old rectory. Houghton Old Rectory was built in 1710 and expanded in 1890 when the Rector of the day had a family of 13 children. Richard and Iona Priestley now live in this charming home and are very kindly allowing us to visit them and will entertain us to tea in their lovely garden. The cost of the visit will be £80 per head to include lunch and tea. If you are interested in joining this Visit, you must find and click on the “Booking Form to Download” in the Members Area. (For reaching this, click on the Members Tab at the top of the Home Page, select Log In, (if you have forgotten your login password, do get in touch with ali@everington.net) and select Future Visits). Then click the Download Booking Form.